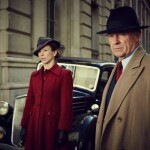 Home » Actors/Actresses » Drama » Mystery » From World War to Cold War, new Foyle's War set for mid-September return on PBS! 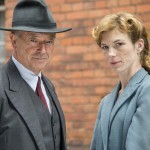 From World War to Cold War, new Foyle's War set for mid-September return on PBS! 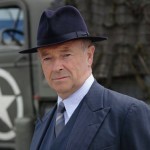 At long last (3 years to be exact) a new series of Foyle’s War starring Michael Kitchen in his new role as Senior Intelligence Officer has tentatively been scheduled for a mid-September run as part of PBS’ Masterpiece Mystery! series. 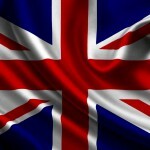 The new series of 3, two-hour programs will be set during the early period following World War II with Foyle focusing his attention on the world of espionage, gathering secret intelligence in support of Britain’s security, defense and the Government’s foreign and economic policies. Going from World War to Cold War, the first of three mysteries, “The Eternity Ring”, begins in New Mexico in 1945 before switching to London a year later. Originally part of PBS’ Mystery series in 2002, it’s been three years since we last crossed paths with Chief Superintendent Christopher Foyle. According to novelist and screenwriter Anthony Horowitz, who wrote episodes 1 and 3, the new Foyle’s War will begin in a post-war era Britain. Besides Kitchen returning as Foyle, Honeysuckle Weeks returns playing the established character of Samantha Stewart. It’s been three years, but remember that Foyle ‘retired’ at the end of series 7 (series 6 in the U.S.). Retirement is short-lived, however, as someone is stealing documents from the Soviet Embassy. Folks over at MI-5 (not Harry Pearce) want him to investigate the suspected Russian who defected with the documents and the possible passing of secrets to the Commies. Why Foyle, you’re asking at this point? Because his former driver, Samantha, has been photographed with a suspected Russian agent. While UK audiences refer to this as series 8, this will be series 7 for U.S. audiences given that series 4 & 5 were combined as series 4 in the States. Even though Foyle has retired more times than Brett Favre, it’ll be good to have him back this September.